Upon ordering your membership a confirmation email is sent containing your unique Shaka Gold Membership number. 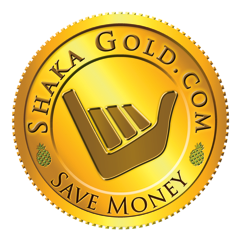 Use your Shaka Gold Membership number to log onto www.HawaiiFun.org and book at Shaka Gold prices. If a certain product is not live with tickets on-line (no button), call the company directly and make your reservation by phone. 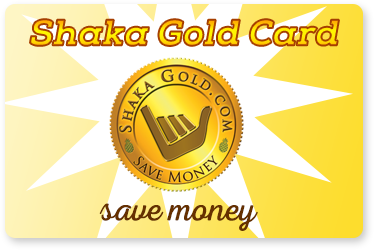 Make sure to provide your Shaka Gold Membership number to receive a discount. Participants are provided look up tools to authenticate your membership. Although not recommended, you may wait to book until after you arrive. Just make sure you reserve direct with the company. Discount can not be extended if bookings are made through a reseller, e.g. : concierge desk, Expedia, Viator, Peek, etc... Many of the premier attractions & activities sell out days, sometimes a week in advance. We recommend booking as much as possible prior to arrival so that when you arrive everything will be taken care of and you won't waste any of your precious vacation time planning. You'll also be booking direct. Less layers equals lower prices. Just returned from our 8th visit to Hawaii. We were there from March 16th through the 25th. Of course, we had a wonder time and thanks to being a Shaka Club member we saved on several of our activities. We managed to fly with Sunshine Helicopters, sailed with Trilogy on the Kaanapali and the Lana'i trips and Kai Kanani to Molokini. We also used our membership discounts at the Maui Tropical Plantation. Being an A3H Shaka Club Member is great and Mahalo.